Paul High is married with four sons. 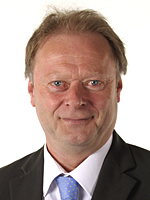 He is a member of Worthing Borough Council and Chairman of its Licensing Control Committees. Paul is a season ticket holder of Brighton and Hove Albion Football Club and is keen on environmental protection.